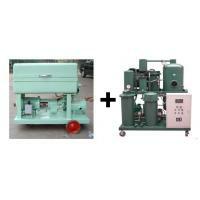 This machine main used to remove water,impurities, gas from the machine lubricant oil, like hydraulic oil, lubricant oil, gear oil, shafting oil, refrigerator oil,machine oil, die-casting oil, air compressor oil, heat treating oil, anti-wear hydraulic oil, emulsified oil, high water content oil etc. It’s physic al reaction, needn’t add any chemical,the recycled oil can be reused as the lubricant oil again after treatment. 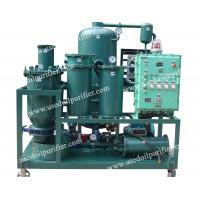 the water content of the recycled oil is 300PPM, and the impurities content can up to 3-5micron. Some special type of oil can be dewater and filtered also, like the black oil, fuel oil, conditioning oil, mineral oil, cooling oil, etc. from the inferior oil. 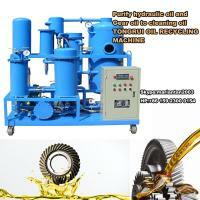 Moreover, it can eliminate organic and inorganic acid to recover the performance of lubricant oil. contents, also easy to get rid of the little tiny water from oil. 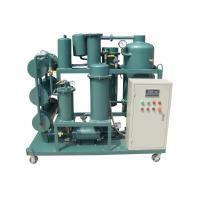 ◆Adopt high precision and stainless steel filter elements that import from Japan. 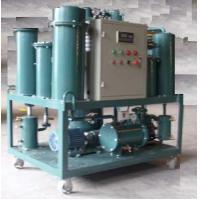 ◆Utilize Tongruis own invented technology H.P.M polymer adsorption material with Tongrui technology, utilizing high quality parts and sealing materials, meeting the requirement that high viscosity oil need high temperature in filtrating, extend ranges and types of oil to be filtrate-able. 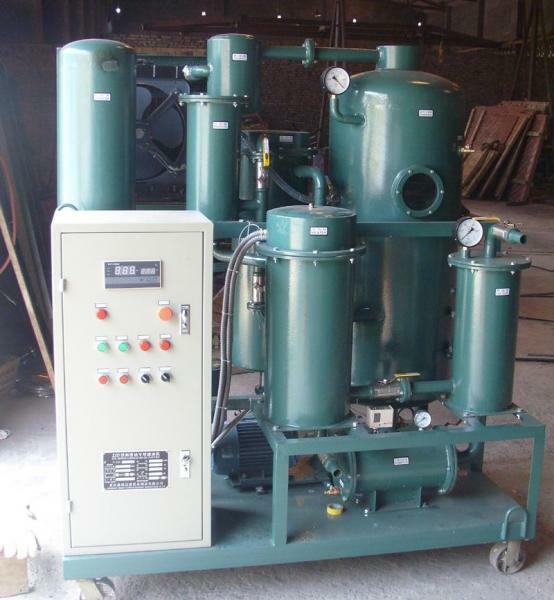 ◆Combined with coalescence separation and vacuum separation, water separation adopts advanced coalescence separation technology, which is able to rapidly remove big quantity water and trace moisture from high water content lube oil. 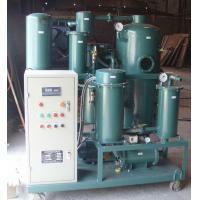 ◆Heating system utilized optimized piping design, ensures averagely heating, no bypassed area, stable oil temperature. ◆Humanized design, dual infrared liquid level control system, relay protection, overload protection. 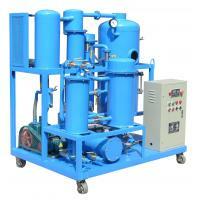 Overload electric protection control system and oil temperature stabilizing system ensures easy operation and safety. ◆It is suitable for all sorts of lube oil purification and regeneration, to remove moisture, gas, mechanical impurities, acid ect. harmful substance, and ensure the cleanness of oil after treatment, make kinematic viscosity, flash point meet national standard. 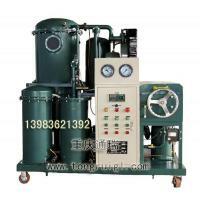 ◆After processing with this type of machine, the oil have low emulsification value, low water content, can be used in domestic or abroad high precision hydraulic lubricating equipments. 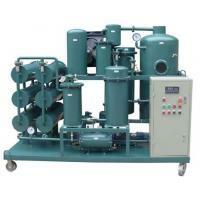 China Chongqing Tongrui Filtration Equipment Manufacturing Co.,ltd is a very professional and famous manufacturer in oil purifier industry, we have the unique technology and formula which most advanced in the world . Our products are largely used in electric power, oil petroleum gas, mine, machinery manufacturing, steel, metallurgy, chemical industry, railway station, aviation, shipping etc. 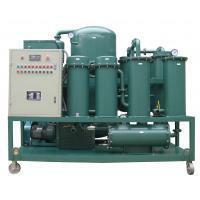 Our products involve in ZJA Series Double Stage Transformer Oil Purifier, ZJBZJB-T Series Single-stage Vacuum Oil Purifier, ZJC Series Turbine Oil recycling, ZJD Series Lubrication Oil Filtration, NRY Engine Oil recycling and DIR Base oil Distillation Equipment etc, our machines cover more than 100 kinds of products in 10 series and can meet different needs of customers. We can offer different settle blueprint according to customers' special requirement to confirm safety production and decrease cost. 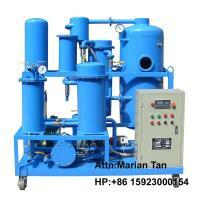 we have cooperated with many customers around the world and have good quality. Our machine mainly sold to Middle East(Dubai, Pakistan, Yeman, Saudi Arabia), Southwest of Asia(Singapore, Malaysia, Indonesia, Viet nam, Cambodia, Philippines, Hongkong), Africa(Egypt, Kenya, Mali, Lybia),Europe (Italy, England, Albania, Spain, Greece) and South America (Hondurase,Mexico,Colombia, Chile,Peru) etc. We abide by the purpose of quality is first, customer is first, welcome to visit our factory and cooperate with us warmly and sincerely.our company is committed to provide excellent technical and after-sales service,and we emphasize on win-win,hope we can establish good business relationship, Let us hand by hand to create our future.